England had an excellent World Cup campaign, reaching the semi finals and bringing a sense of pride back to the shirt. However, Mr Grumpy himself, Roy Keane, brought everybody back to reality when he observed that most of the England players had not won anything and that it was a pretty unlikely scenario for your first trophy to be the World Cup! Losing for a second time to Belgium in the 3rd and 4th place play off game highlighted that whatever about being unlucky against Croatia, the are clearly better sides out there. As such, a second World Cup seems a long way off and may never happen! As such, England should cherish their one success. 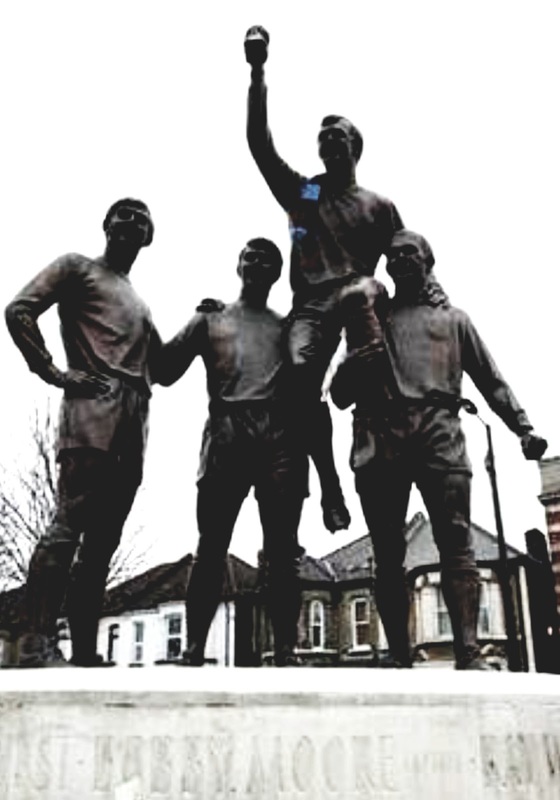 In recent times there has been an ongoing debate about whether the World Cup statue should move to the new stadium. In a recent poll fans were split 50:50 on the matter! While a spot has been identified at the Olympic Stadium, Newham council have changed their minds on letting the statue go. All of which seems ridiculous - many Hammers fans see the statue as the best reminder of where our home was and as Green street continues to change that looks likely to become even more so over time. The statue cost £730,000 when it was erected in 2003. Putting It in perspective, thats a few weeks wages for Andy Carroll! If we can afford to pay £10million for Jordan Hugill and then never even give him a chance to show us what he is capable of, surely we can afford a second and separate statue for the new stadium? P.S. When you host the best league in the world it is inevitable that you will eventually assemble a squad that is good enough to mount a serious challenge for the World Cup, but the statue should stay regardless.